The Fenimore Art Museum in Cooperstown, NY just opened a new installation, "Autopsy for a Nation: The Death of Abraham Lincoln," marking the 150th anniversary of Lincoln's assassination. The exhibit's key items include handwritten notes by the physicians who conducted the President's autopsy. 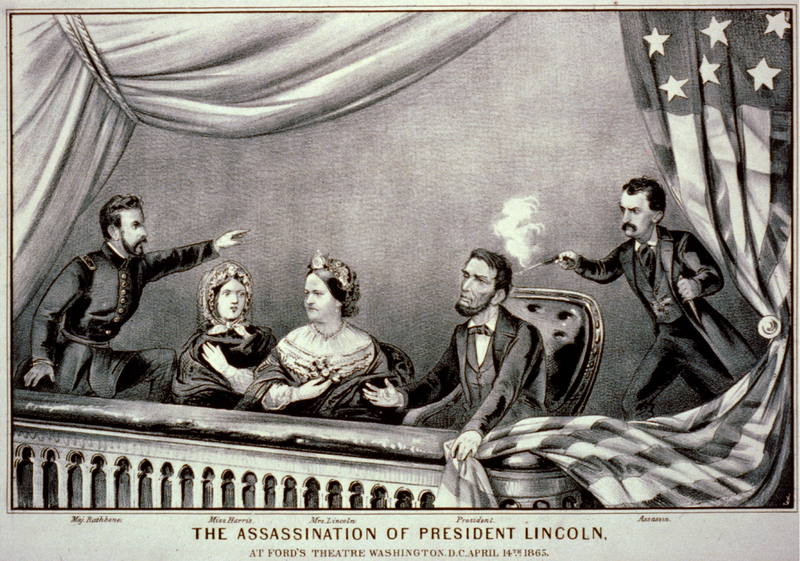 Lincoln was shot April 14, 1865 by John Wilkes Booth while watching a play at Ford's Theatre in Washington, D.C. The Civil War had ended just days earlier and the President's death was a terrible blow to a nation that was already in turmoil. The Fenimore exhibit will also feature other Lincoln-theme items tied to his death, but the detailed autopsy notes, which are part of the museum's collection, are the main curiosity. Eyelids and surrounding parts of the face greatly ecchymosed. Eyes somewhat protuberant from effusion of blood into the orbit. There was a gunshot wound of the head around which the skull was greatly thickened by hemorrhage into its tissue. The ball had entered through the occipital bone about an inch to the left of the median line and just above the lateral sinus which it opened; it then penetrated the dura mater, passed through the posterior lobe of the cerebrum, entered the left lateral ventricle and lodged in the white matter of the cerebrum just above the interior portion of the corpus strictum where it was found. The wound in the occipital bone was quite smooth and spherical in shape and beveled off from without inwards so that the opening of the tuble was larger than that through the external tubal. Shot. 1 inch left median line traversing left lateral sinus upper edge, through occipital bone toward edge of lateral sinus. Thru occipital bone, touched ledge of lateral sinus, struck posterior lobe traversing it in a horizontal place (passing forwards inclining to the right.) In orifice of wound a scale blood 2 ½ in. in track, pieces of bone - 2 pieces of bone about 4 inches in advance in track of ball. Entered the left ventricle behind, followed the course of ventricle accurately, inching upwards and inwards, ploughing thru the upper part of thalamus nervorum opticorum, other 2 lodged in cerebral matter just above the corpus stratum of the left side. The brain track of ball was in a bubbly disintegrated state. Both ventricles filled with blood. Whole brain engorged and bloody prints. More matter than wounds. On reviewing, the dura mater was displaced with a large coagulation of blood - lying upon the right hemisphere of the brain. Reviewing the dura mater, no wound in which was found, we found the orbital plates of both sides, the seat of comminuted fracture, the fragments being forced from within, outward. The orbit oculum palpitated membrane and cavity was filled with blood. Origin of which we didn't seek. The right had been notably protruded, later sank back after death. Ecchymoses of the left eye 1st and right eye 2nd. Great oedema of sinus and a little blood extravasated about shot wound, clean cut as if by a punch. 2 feet off orbital plates, very thin. The installation runs through December 31.